CAIRO — They're often referred to as "Salah's Egypt," and it's easy to see why. Liverpool striker Mohammed Salah has scored five of Egypt's seven goals in World Cup qualifying, but none so crucial as his injury-time penalty on Sunday that earned the Pharaohs a spot at next year's World Cup in Russia. "I thank you Mohamed," President Abdel-Fattah el-Sissi said Monday in a televised ceremony with the national team. "I thank you all, of course, but Mohamed was under a great deal of pressure from 100 million Egyptians. He had to convert for us to win." The 25-year-old Salah had already given his team the lead against the Republic of Congo in the 63rd minute, slotting home after collecting a through pass from Arsenal midfielder Mohamed Elneny. 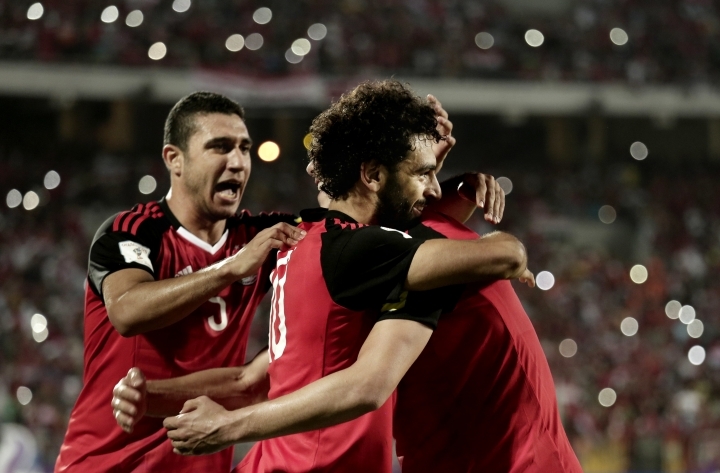 But after the visitors equalized just before the end of regulation, it was Salah that produced Egypt's 2-1 victory. Had the match ended in a 1-1 draw, Egypt would have faced the formidable task of beating Ghana away in the group's final round next month to be sure of qualification. Instead, Egypt will be headed back to the World Cup for the first time since 1990. With Liverpool, Salah has scored six goals in all competitions so far in his first season with the English team. 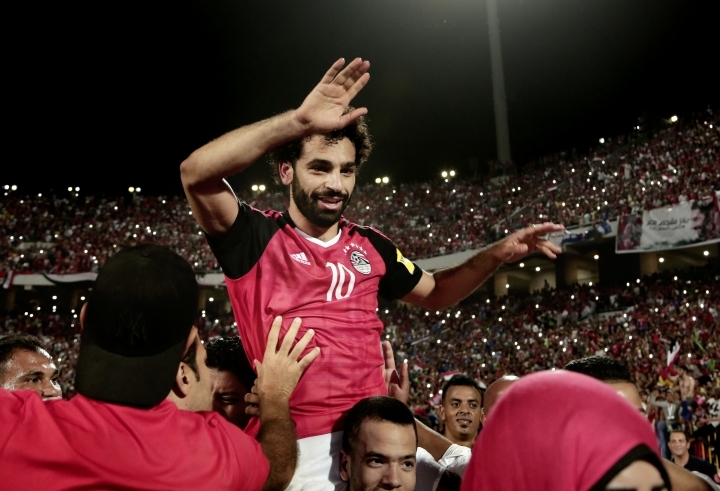 He has for years been a favorite with fans in soccer-crazed Egypt, but his two goals on Sunday have elevated him to a national hero. 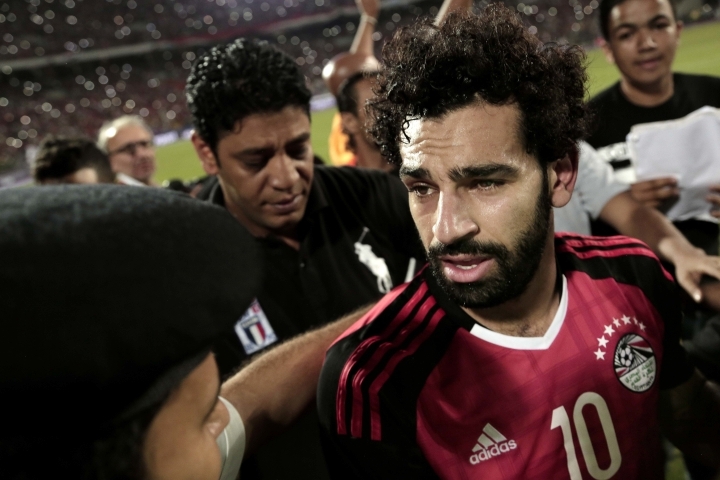 To fans, he almost single-handedly ended the grief and frustration millions of Egyptians endured every time they came so agonizingly close to qualifying for the World Cup only to falter at the last hurdle. Fans took to social media to post collages of Salah dressed as a king and others devised a play on words for "Sabah el-kheir," Arabic for good morning, by changing it to "Salah el-kheir." On Facebook, fans wrote: "Salah for president." Salah is one of a crop of young Egyptian players earning a living with European clubs, including three others in the Premier League. But Salah is by far the most popular, partially because he is a goal scorer, but mostly because of his passion and dedication. That was on display Sunday. Salah fell to his knees in anguish and then laid face down on the ground after the Republic of Congo equalized. But he got back on his feet moments later, collected the ball and rallied his teammates. He then turned to the capacity crowd of 30,000, gesturing to continue rooting for the team. "May God make you happy Salah just as you made all Egyptians happy," former Egypt international Hazem Emam, one of the country's greats, wrote on Twitter. The win sent hundreds of thousands of Egyptians celebrating across the country until the early hours of Monday morning. They waved the country's white, red and black flag, honked cars and yelled "Egypt! Egypt!" It was a welcome break for a nation that has been roiled in turmoil for most of the six years since a popular uprising, with the vast majority now struggling to make ends meet in the face of soaring prices, higher utility bills and crumbling services and security forces fighting to contain an insurgency by Islamic militants. That turmoil has affected the soccer team, which failed to qualify for three straight African Cups from 2012-15 before making a return this year. Argentine coach Hector Cuper led Egypt to the African Cup final in February on that return, eventually losing to Cameroon. "Did you see what you have done to Egyptians in just over an hour?" el-Sissi told the squad on Monday. "Everyone is happy."